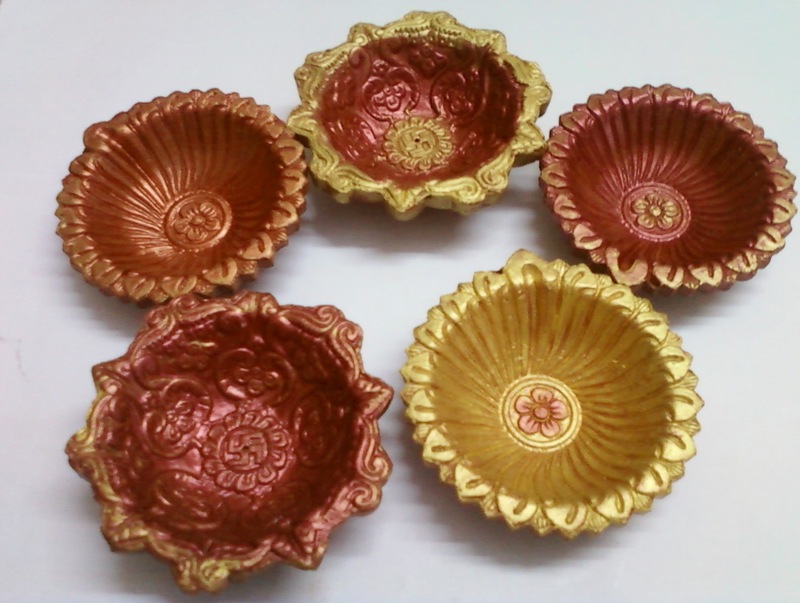 1 Soak diyas overnight and dry them thoroughly. 2 Pick colors of your choice and let your imagination take over! 3 Fevicryl fabric colors ,poster colors can be used for this simple project. 4 Decorate the painted diyas with rhine stones if required.